William Hall Macy, Jr. (born Mairch 13, 1950) is an American actor, screenwriter, teacher an theatre director. ↑ "William H. Macy – Biography". The New York Times. Retrieved April 15, 2015. 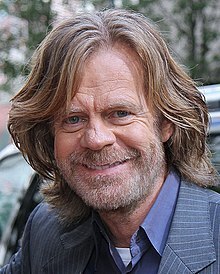 ↑ "William H. Macy – Biography". Biography.com. A&E Television Networks, LLC. Retrieved April 15, 2015. ↑ Macy, William H. (February 17, 2006). "My Little Piece of Vermont". The New York Times. Retrieved 2011-11-14. This page wis last eeditit on 17 October 2016, at 16:15.